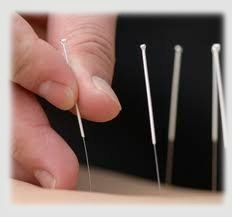 Acupuncture is an effective treatment for a wide range of chronic health problems and injuries. If conventional treatments or medication haven't worked for you, why not try what Chinese Medicine has been successfully practicing for more than 2,000 years? Click here for more information and read our 'Miracles take a little longer' article. Connie Wang and Brian Ouyang are experienced and registered Acupuncturists specialising in treating Lower Back Pain and Sciatica. We have a special interest in chronic illness, whether diagnosed or not.